Summary: Today’s Psalm presents an unfamiliar but apt picture. 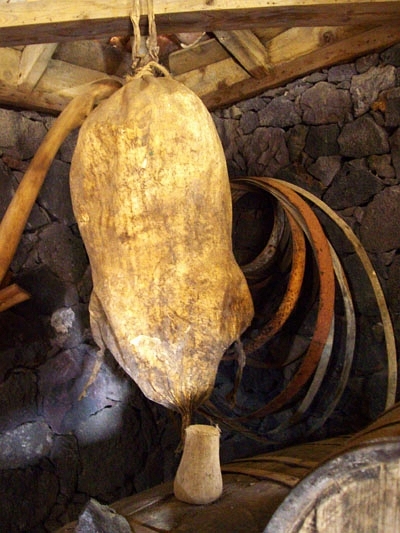 Few if any of us have animal skins full of wine hanging around our smoky homes. Indeed, most of us would end up with split skins and spilled wine because we wouldn’t know how to care for them or when to replace them. How shall we receive and retain the “new wine,” the blood of Christ shed for us, the sweet forgiveness of the Gospel, and all good from above? Our old, fallen natures are incapable of holding on to God’s precious gifts — we must be made new in order to hold the new. To accomplish this, Jesus became our “Wineskin in the smoke.” The Father hung His Son out to dry. Our Savior allowed Himself to be parched, torn apart, and drained out so that He could make us into new wineskins and fill us to overflowing. As vessels of grace, we discover that Christ doesn’t skimp on the outpouring. He gives us more than we need, more than we ever desire. Then He keeps pouring Himself out that we might overflow to others, so the new wine of the Gospel might refresh family, friends, neighbors, strangers, and even enemies. Text: My soul longs for your salvation; I hope in your word. The insolent have dug pitfalls for me; they do not live according to your law. They have almost made an end of me on earth, but I have not forsaken your precepts. Audio: Click to hear the MP3 of Wineskins in the Smoke. About the Painting: This is a detail of Christ Consoled by Angels or Christ after the Flagellation by Mexican artist Juan Patricio Morlete Ruiz. 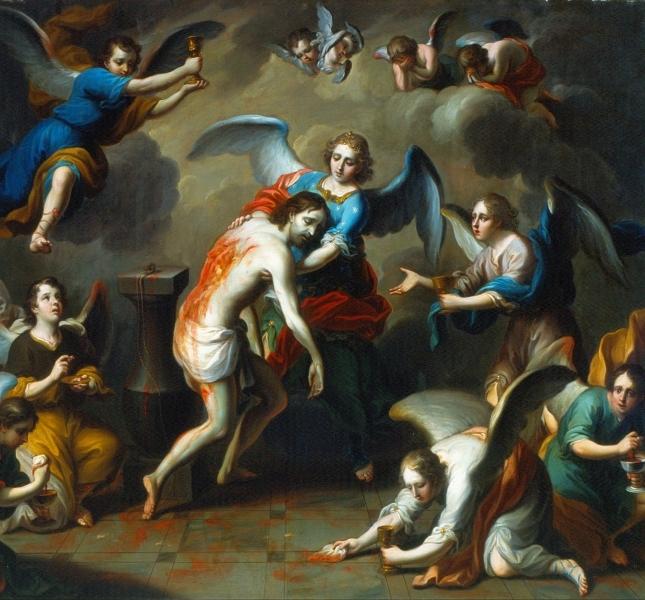 While such graphic representations of Jesus’ Passion were common in 18th Century Mexico, Morlete Ruiz made explicit the connection between our Savior’s suffering and death and the Lord’s Supper as he shows angels sopping Christ’s blood into chalices and gathering His torn flesh to the paten like manna in the Wilderness.